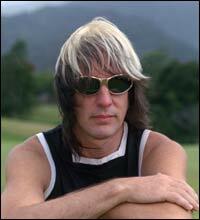 Todd Rundgren is one of the most talented and prolific rock musicians of his generation. Todd Rundgren was born and raised in Philadelphia, and began playing guitar as a teenager, and went on to found and front The Nazz, the quintessential `60's cult group. In 1969, he left the band to pursue a solo career, recording his debut offering, the legendary Runt. But it was 1972's seminal Something/Anything?, on which he played all the instruments, sang all the vocal parts, and acted as his own producer, that catapulted Todd into the superstar limelight, prompting the press to unanimously dub him 'Rock's New Wunderkind'. It was followed by such landmark LPs as The Hermit of Mink Hollow and A Wizard, A True Star, as well as such hit singles as I Saw The Light, Hello It's Me, Can We Still Be Friends, and Bang The Drum. Rundgren's myriad production projects include albums by Patti Smith, Cheap Trick, Psychedelic Furs, Meatloaf, XTC, Grand Funk Railroad, and Hall And Oates. Rounding out his reputation as rock's Renaissance Man, Rundgren composed all the music and lyrics for Joe Papp's 1989 Off-Broadway production of Joe Orton's Up Against It (the screenplay commissioned by The Beatles for what was meant to have been their third motion picture). Todd's first studio CD of all new music in more than 10 years, Liars, was released last year to global critical acclaim. 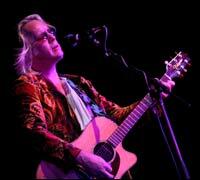 In audio clip 1, Todd talks about his forthcoming European tour with Joe Jackson and the string quartet Ethel. In the second audio clip, he talks about his influences, audiences and his ground-breaking 1994 album 'The Individualist'.